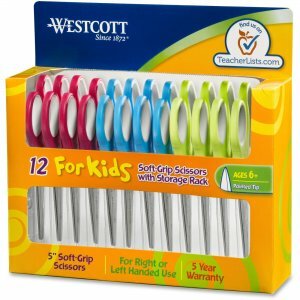 Kids scissors are designed for left-handed or right-handed use. Pointed tip is perfect for detailed cutting tasks. Blades are made of rust-resistant stainless steel, and straight soft handles are made of plastic.